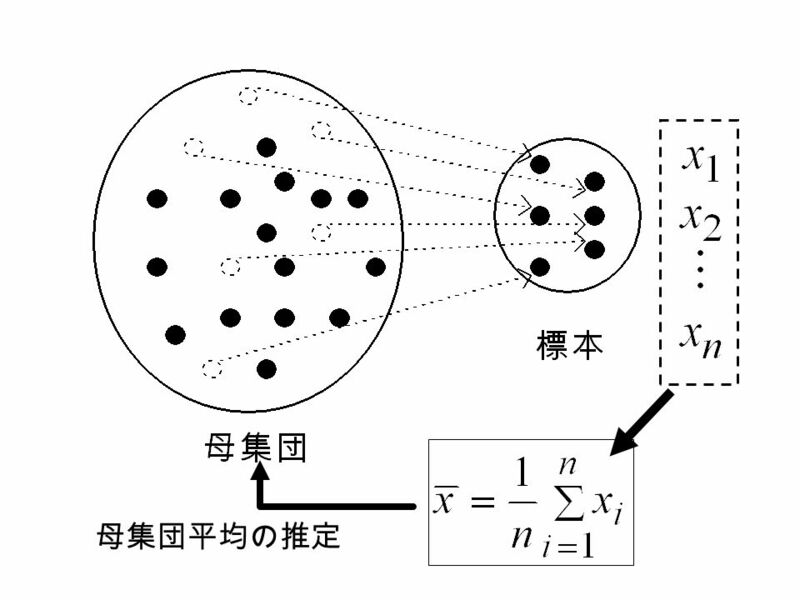 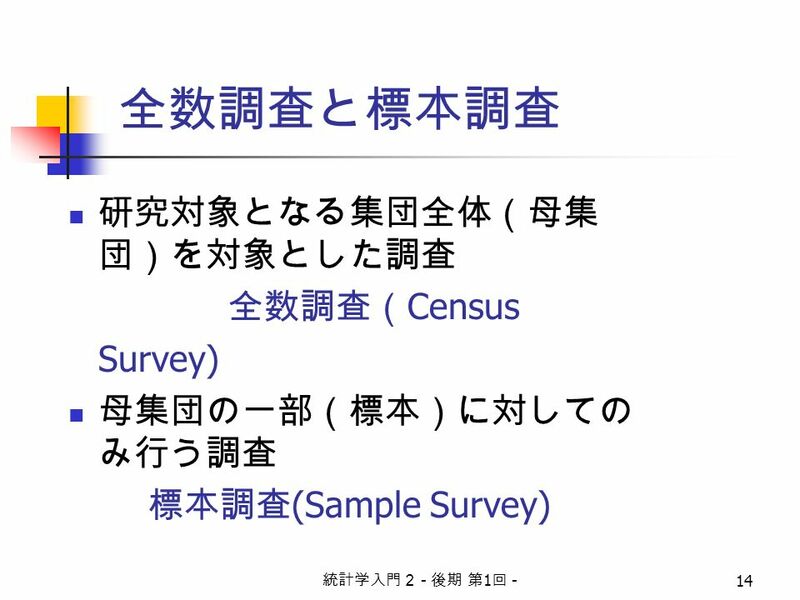 12 統計学入門２ - 後期 第 1 回 - 12 記事の引用 Fifty-seven percent of those polled said they did not believe it was worth going to war, versus 41 percent who said it was, according to a CNN/USA Today/Gallup poll of 1,006 adults. 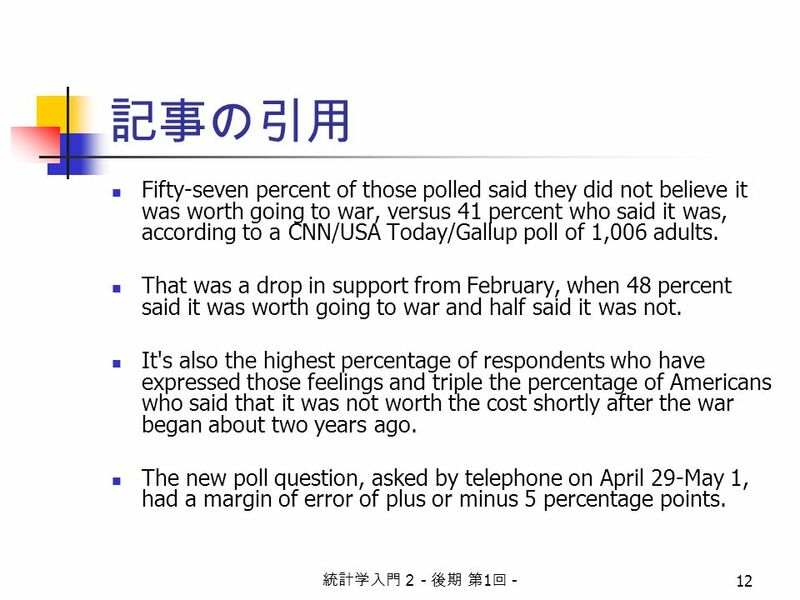 That was a drop in support from February, when 48 percent said it was worth going to war and half said it was not. 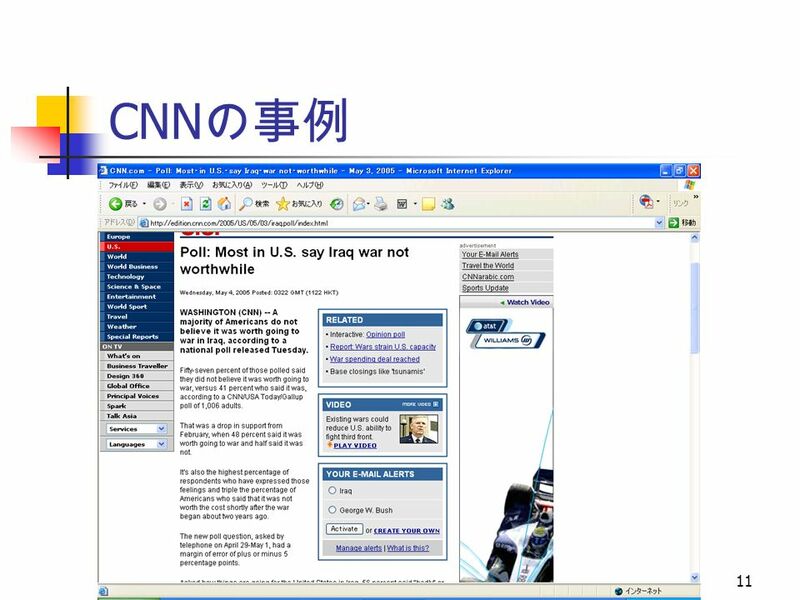 It's also the highest percentage of respondents who have expressed those feelings and triple the percentage of Americans who said that it was not worth the cost shortly after the war began about two years ago. 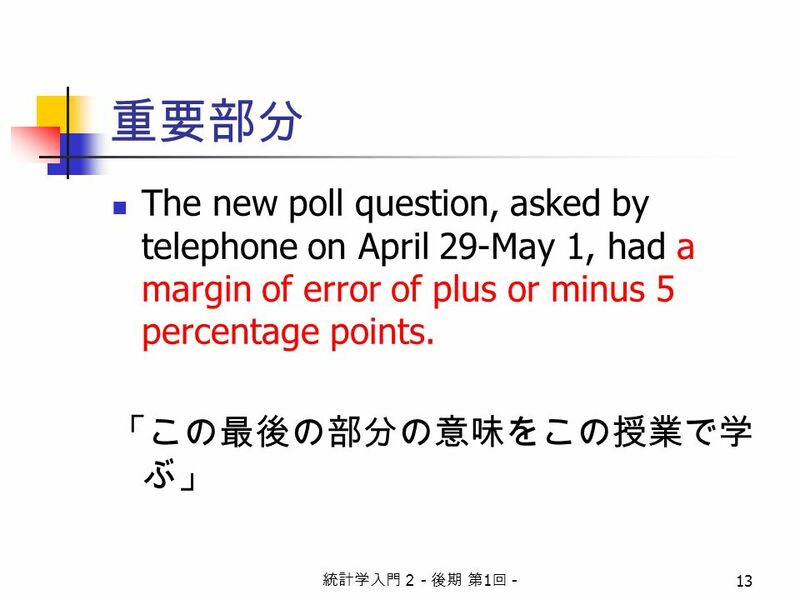 The new poll question, asked by telephone on April 29-May 1, had a margin of error of plus or minus 5 percentage points. 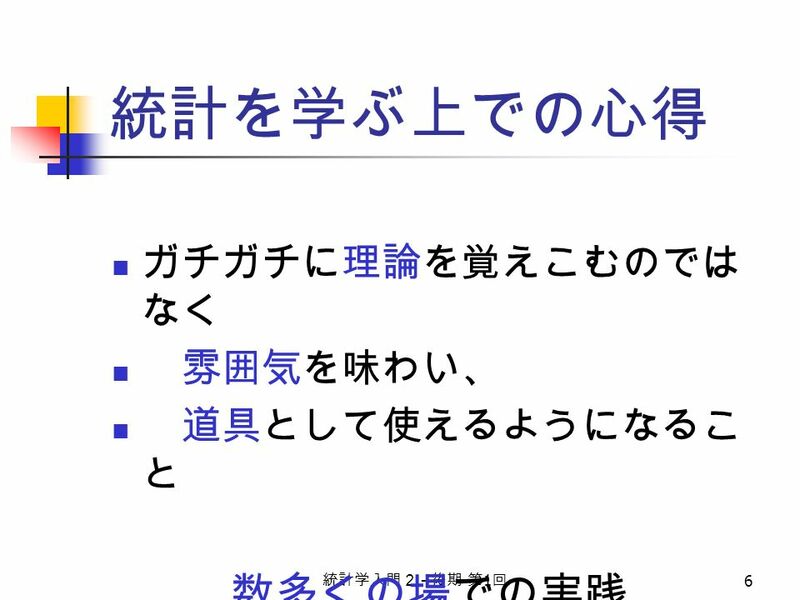 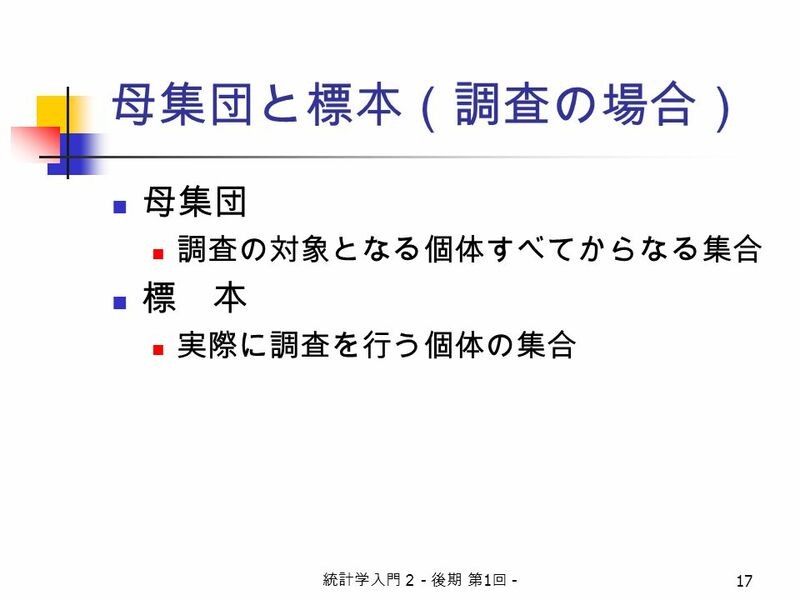 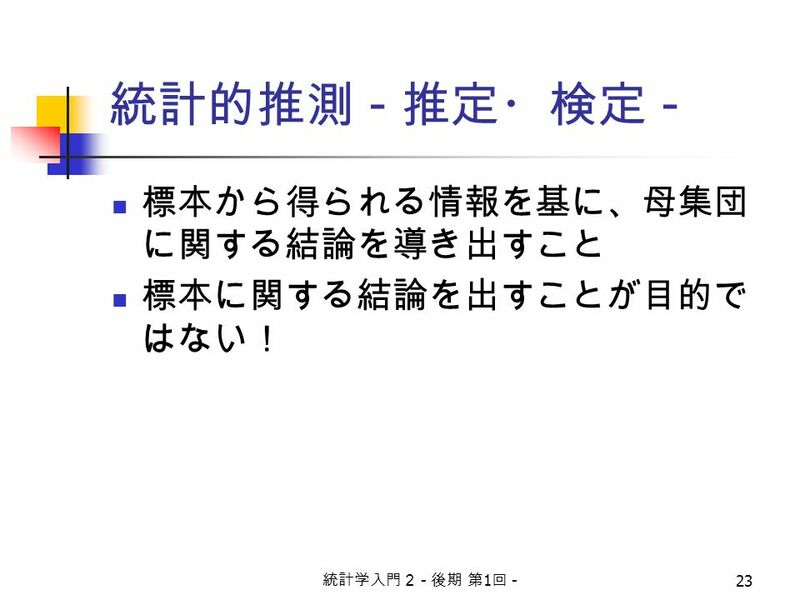 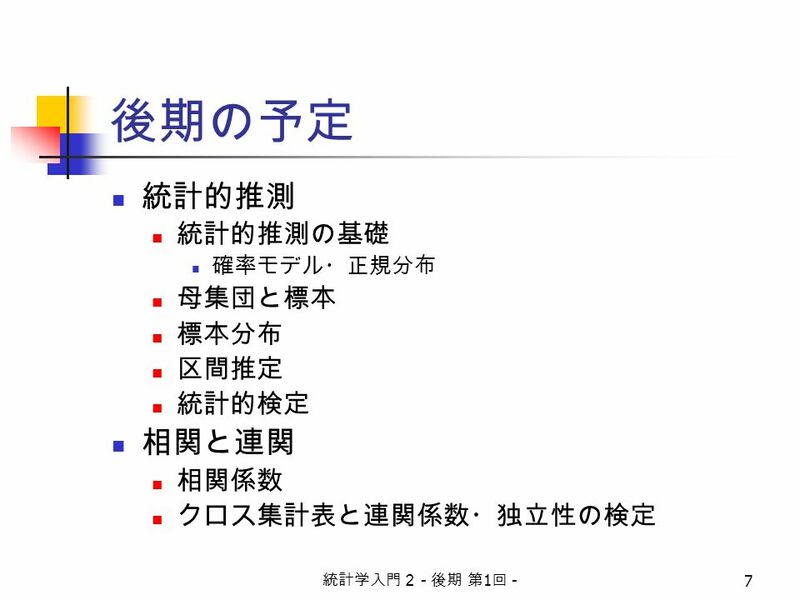 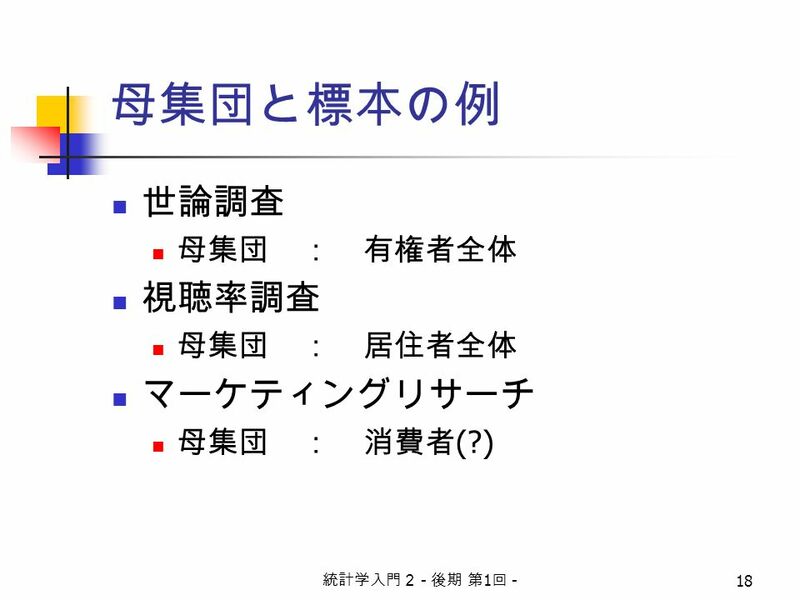 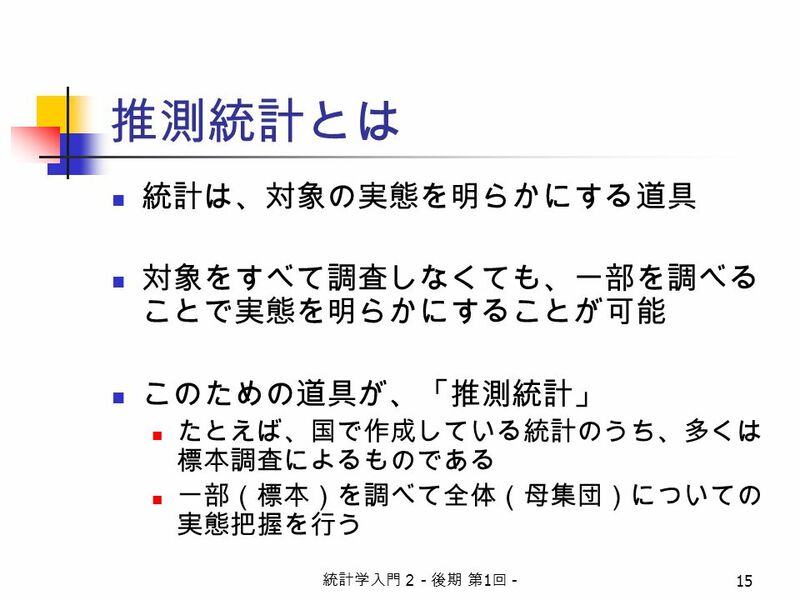 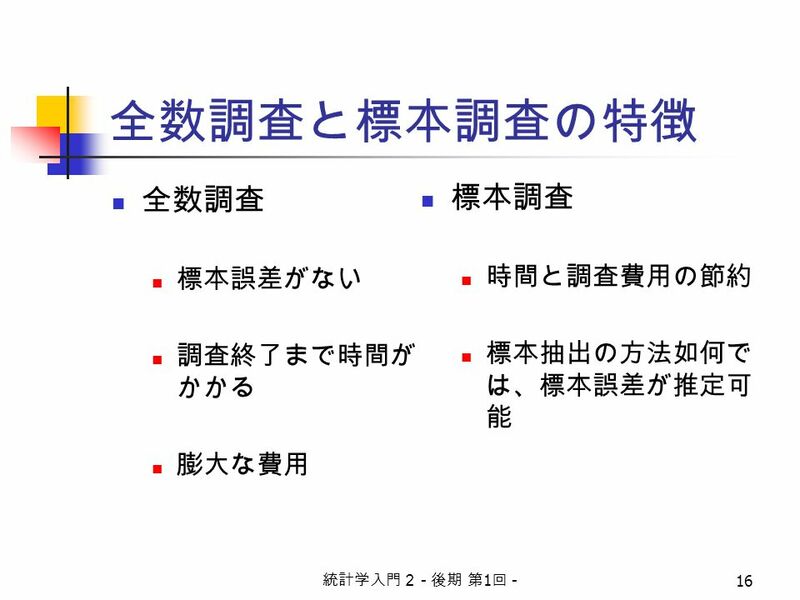 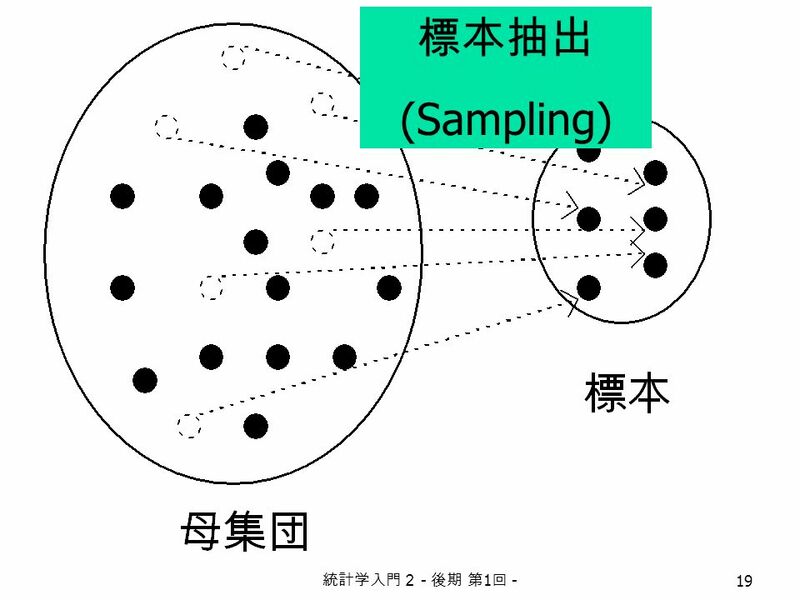 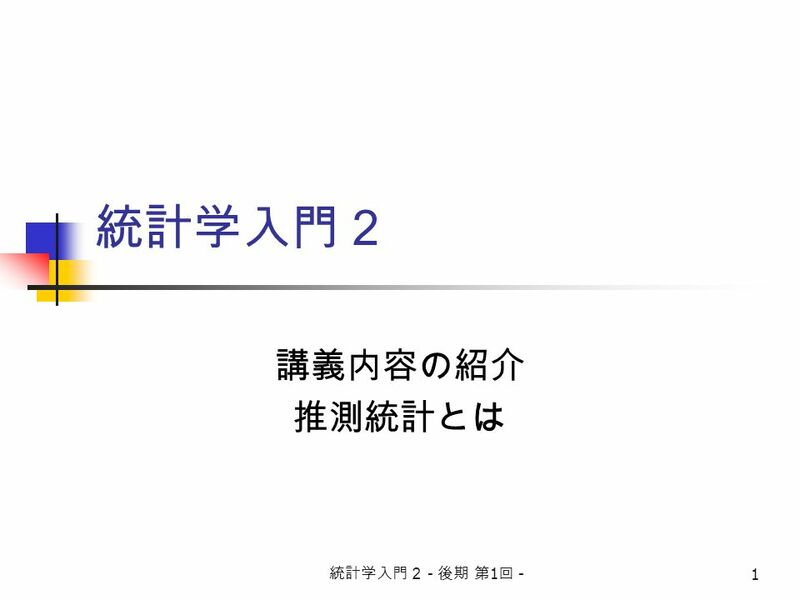 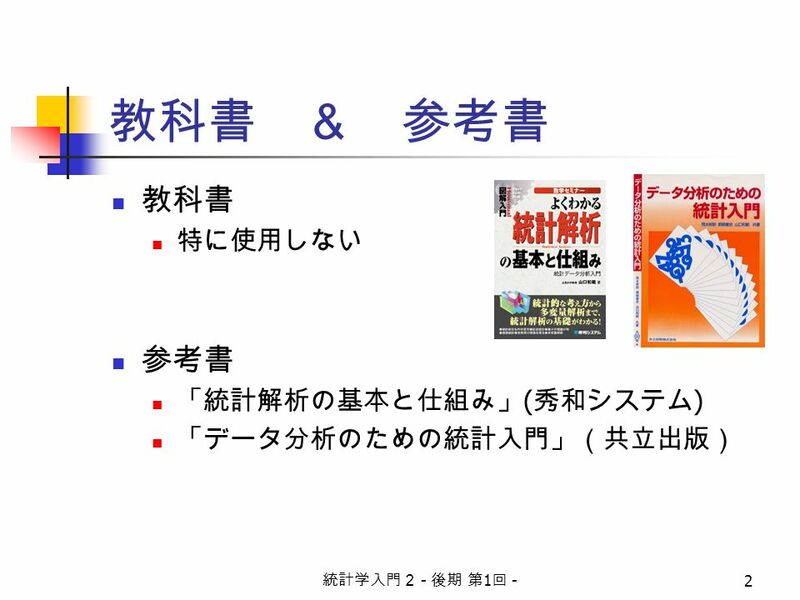 Download ppt "統計学入門２ - 後期 第 1 回 - 1 統計学入門２ 講義内容の紹介 推測統計とは. 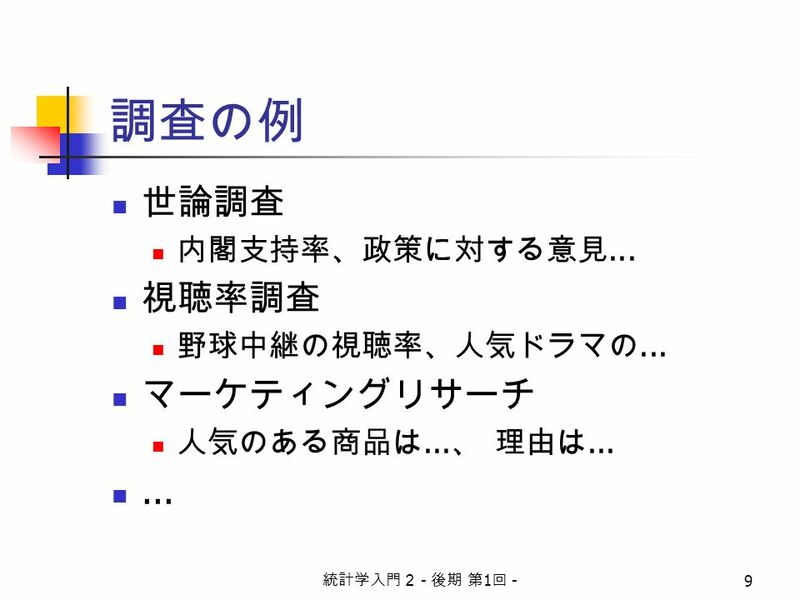 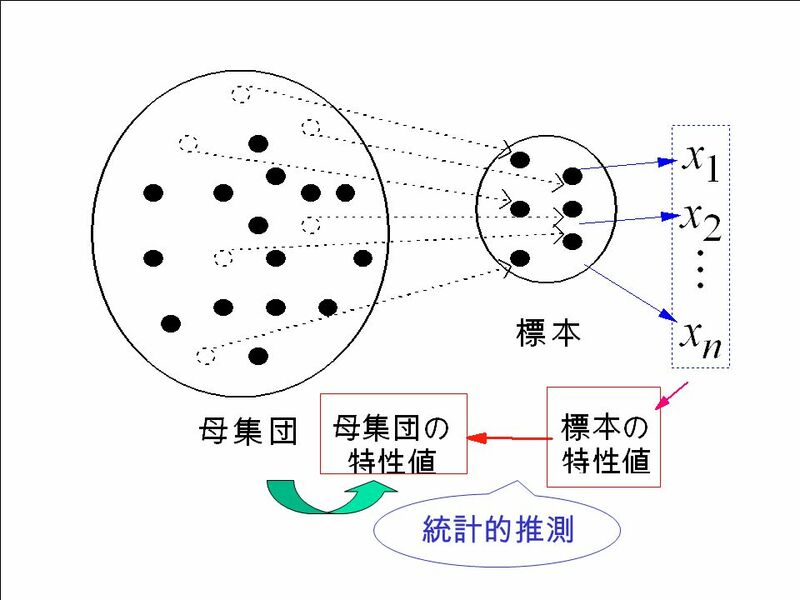 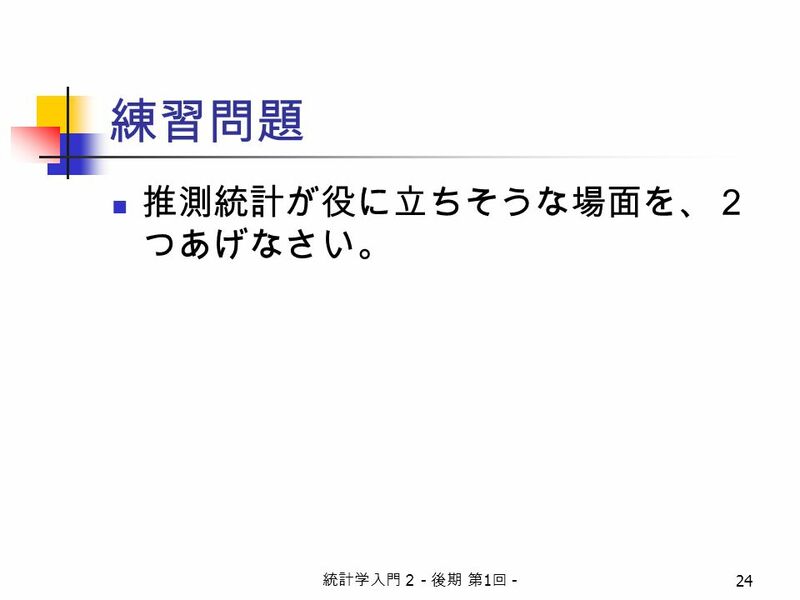 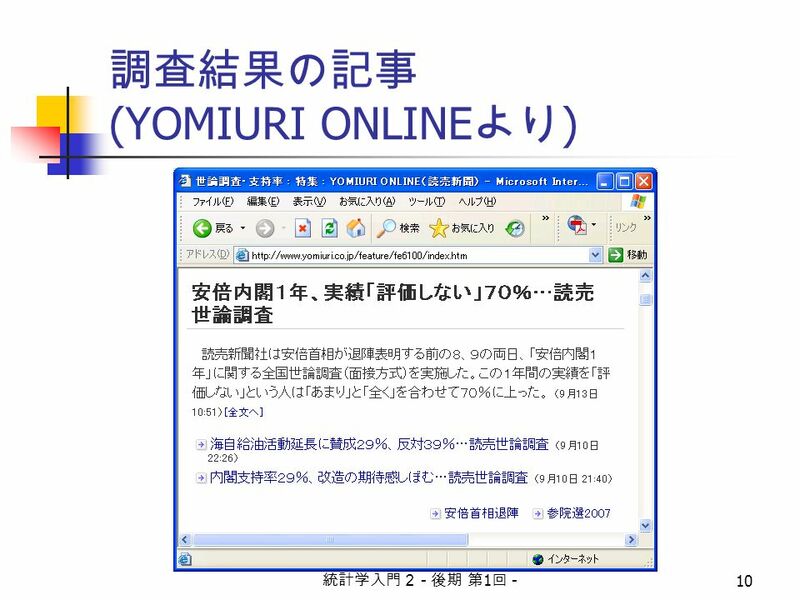 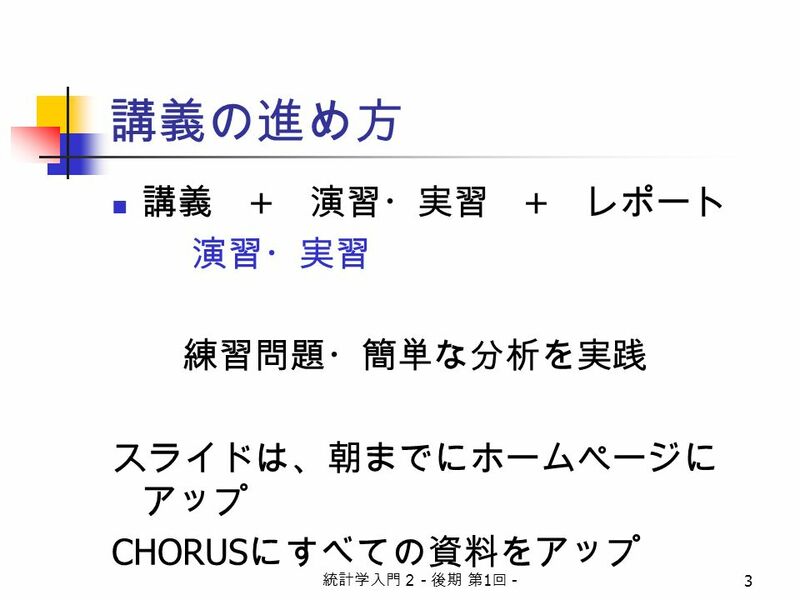 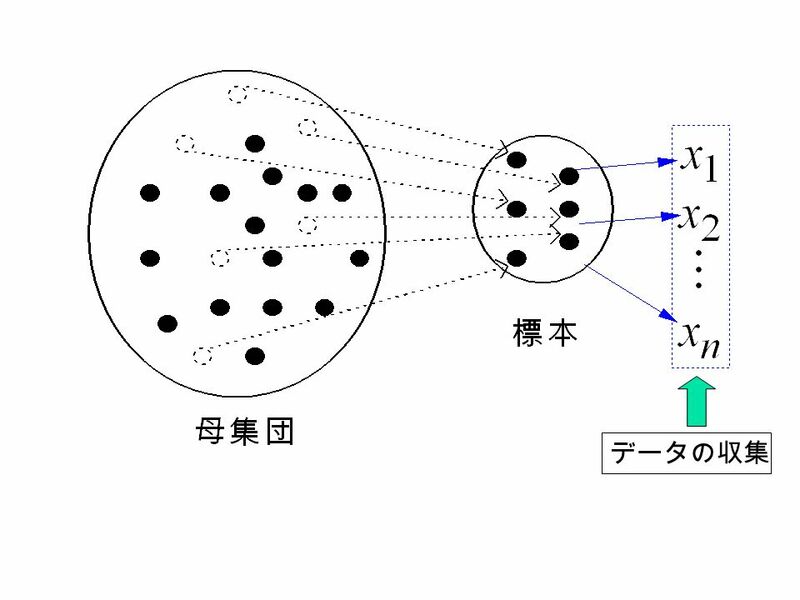 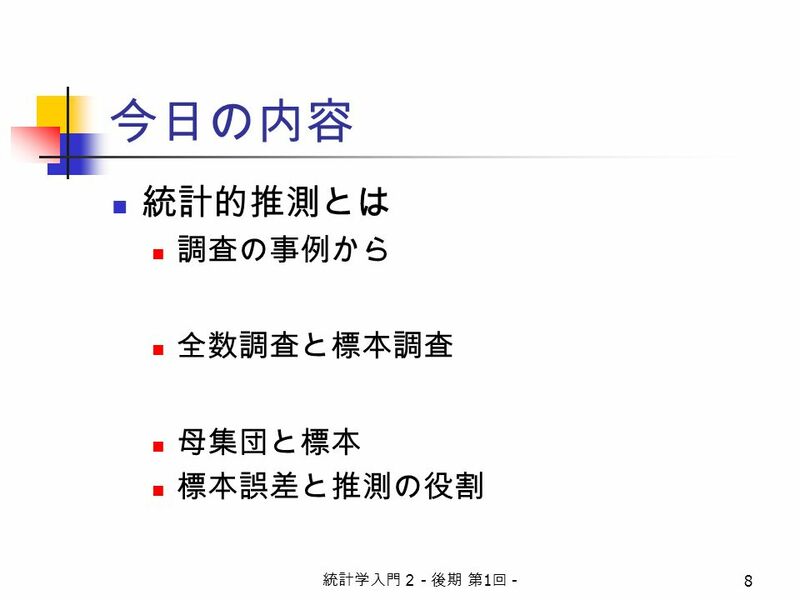 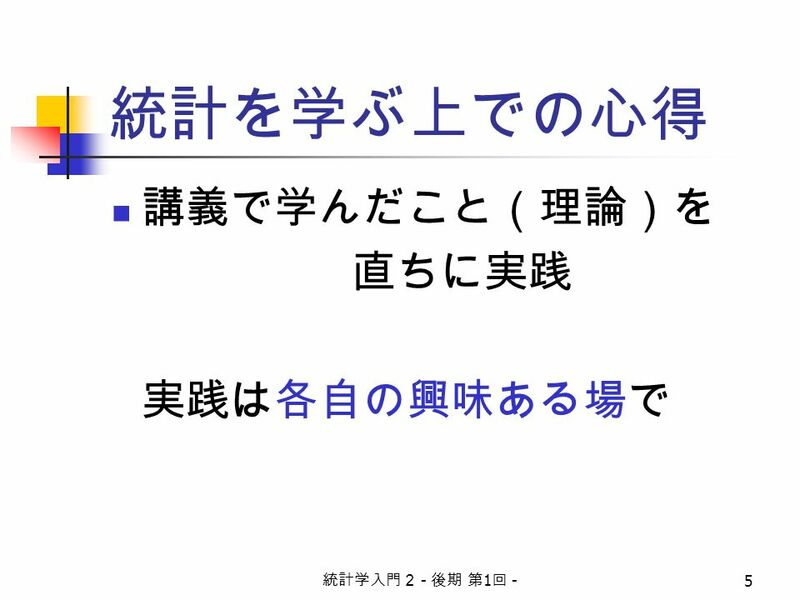 統計学入門２ - 後期 第 1 回 - 2 教科書 ＆ 参考書 教科書 特に使用しない 参考書 「統計解析の基本と仕組み」 ( 秀和システム ) 「データ分析のための統計入門」（共立出版）"
第１章 統計的方法の性質 高 尚策 （コウ ショウサク） 准 教授 1 富山大学知能情報工学科 「統計学」第１回 オリエンテーション. 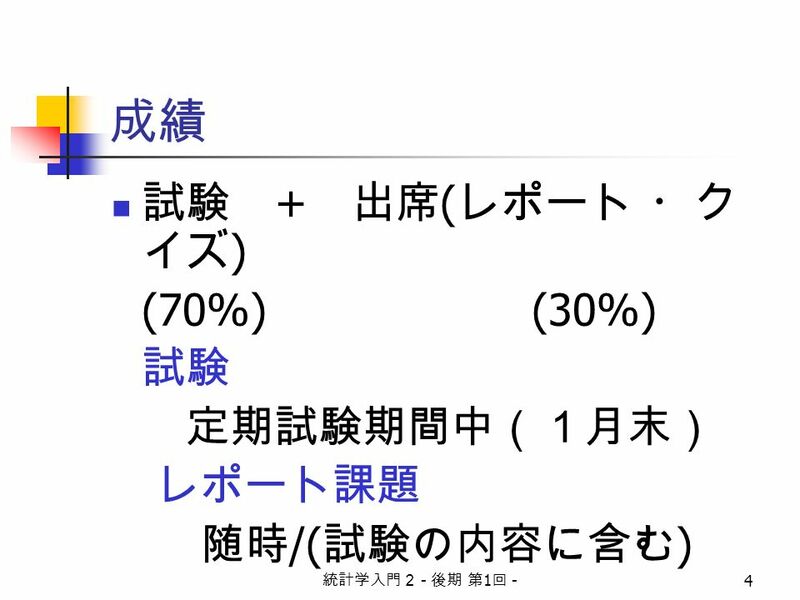 初級ミクロ経済学 第 1 回 （週２回講義，月３，金１） 古川徹也 研究室 １号館 714 HP ： 2014/9/22 経済学入門 B/ ミクロ経済学基礎 1.